Creates a non reflective surface providing Anti Glare function that greatly improves screen visibility^ incorporates a matt texture that resists marks^ scratches and figure prints. 98% of UV light protection. 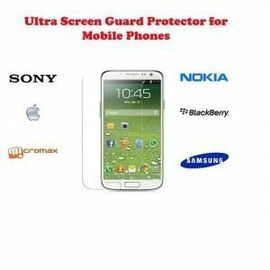 Get maximum life out of your protector with proper care. Avoid contact with keys^ coins etc. and clean screen on a regular basis with the micro fiber cloth provided. Please note: The screen protector size has been adjusted to the maximum flat area of the screen^ which in the case of this mobile screen may not cover the entire surface area. This is not a defect in the design but due to the mobile manufacturerâ€™s screen shape. SpecificationsProduct FeaturesCreates a non reflective surface providing Anti Glare function that greatly improves screen visibility^ incorporates a matt texture that resists marks^ scratches and figure prints.Features:Reproduces original colours.Eliminates Screen Reflections.Increases Screen Readability.Smooth clear Finish.Resists Finger Marks.High Scratch Resistance.Touch Sensitive.98% of UV light protection.High Visibility.Adhesive Free.Simple Application.In The BoxGet maximum life out of your protector with proper care. Avoid contact with keys^ coins etc. and clean screen on a regular basis with the micro fiber cloth provided.Kit Contains:1. 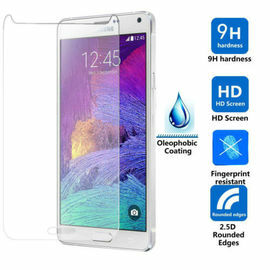 1 X Scratchgard Screen Protector for Samsung I9500 Galaxy S42. Micro-Fibre Cloth3. 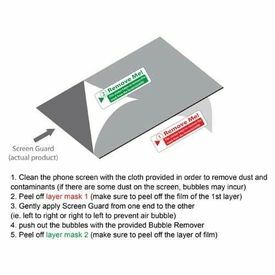 Instruction LeafletSEALED PACKAGINGPlease note: The screen protector size has been adjusted to the maximum flat area of the screen^ which in the case of this mobile screen may not cover the entire surface area. This is not a defect in the design but due to the mobile manufacturerâ€™s screen shape.